Alcorn, Goering & Sage, LLP is a law firm located in Madison, Ind. Their office is located in a beautiful, centuries-old building. 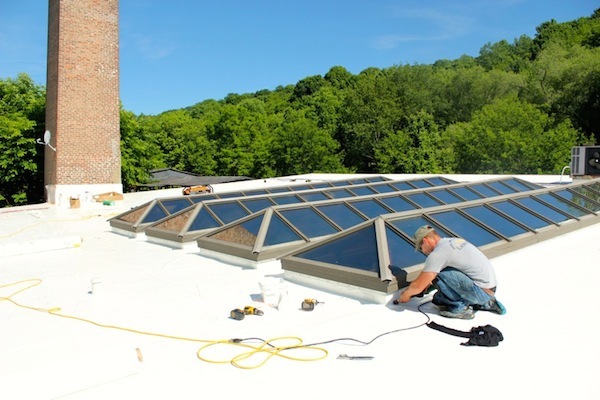 The roof includes a historic 70-foot chimney along with four skylights, each 28-feet-long by four-feet-wide. The company reached out to Exterior Pro to assess its current roof’s structure and quality, and fix several newly formed leaks. Upon inspection, Exterior Pro Roofing found that there were no structural issues with the roof, and its 3 ½ in. of insulation was dry. 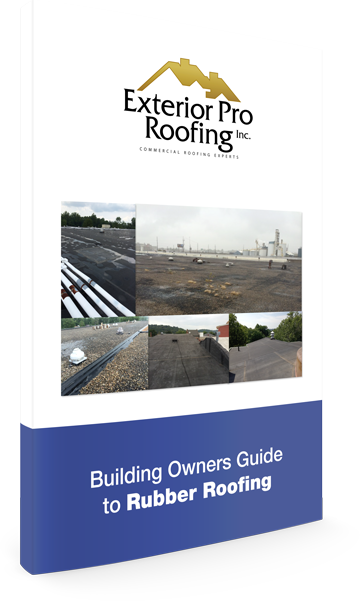 Unfortunately, the black EPDM rubber roof membrane had reached the end of its life (max.15 years), and as with most rubber roofs, the membrane had shrunk, pulling away from the roof’s pipe boots and the flashing around the HVAC units. In addition, the building’s chimney had started to deteriorate due to weather and aging. As a result, some bricks had come loose and fallen directly onto the rubber membrane, creating holes, several of which had been patched up. 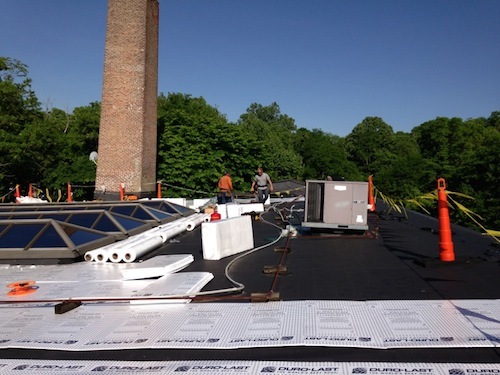 Because the roof itself and insulation were structurally solid and dry, we recommended simply laying a 40-mil Duro-Last® roofing membrane over the top of the existing roof. Upon the building owner’s request, we included a ½-in. 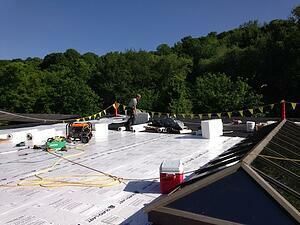 layer of continuous insulation under the Duro-Last® membrane. Our solution will get Alcorn, Goering & Sage another 15 years out of their existing roof, and save them money because we did not have to perform a full or partial tear-off. In addition, Duro Last’s white color helps to reflect the sun’s energy, which will cut down on energy bills. Prior to getting started, we contracted with a mason to repair the crumbling chimney mortar, and then we reduced the chimney size by 20 feet to help eliminate the threat of falling bricks. Once chimney repairs were complete, our crew of nine professionals set to work on a Friday morning, craned up our materials, and installed the new 10,000-sq.-ft. roofing membrane. We were done with the job by end of day Saturday, and despite the unavoidable noises of construction, business carried on at the law firm uninterrupted. We were also able to save the back gutters, and matched the roof trim to that of the building’s façade to preserve the structure’s aesthetics.